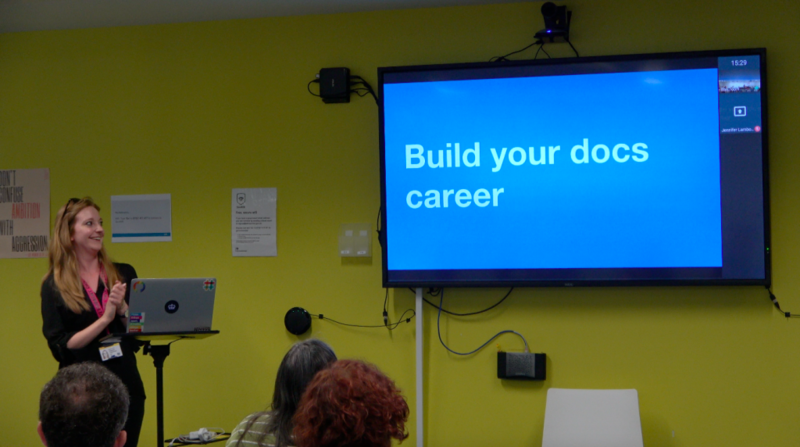 I recently co-organised the Build your Docs career conference together with the Write the Docs (WTD) community. This was the fourth collaboration between the organisations and focused on the technical writing profession. Here are some interesting lessons from the day. Ellis concluded it was most important for technical writers to be curious, reflective and analytical thinkers. 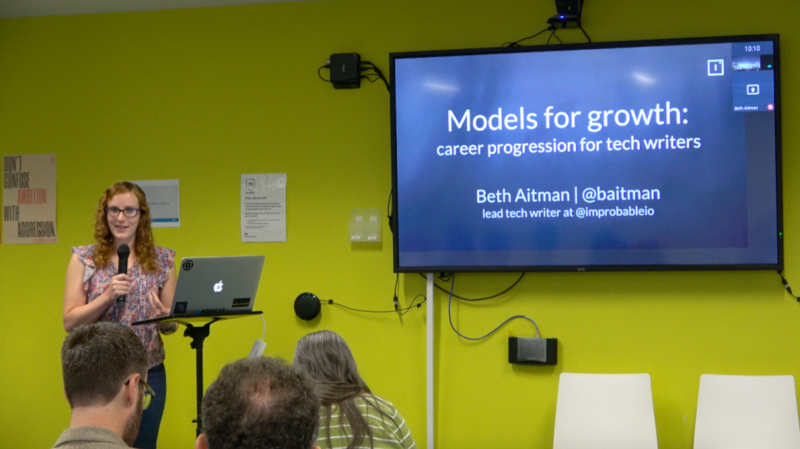 Beth Aitman, a lead technical writer at Improbable, attempted to address what progress and growth looked like for a tech writer. You can look at growth in terms of skills or impact. For skills, you must identify your core and marginal skills, improve existing skills and learn new ones. By upskilling you can become a specialist or a leader. Regardless of which approach you take, a technical writer should make a personal development plan, take concrete actions and take advantage of any opportunities. The final talk of the day was by me! We wanted to see what our community believed was the future of documentation. Almost 100 people gave feedback on working practices and trends we’re likely to see - and the insights were a mix of the surprising and expected. Thanks to everyone who participated in the survey. It was incredibly interesting to hear from the community on this and I intend to repeat this survey in future. We hope everyone who attended enjoyed the event. The talks provided lots of practical advice on how we can, as documentarians, learn in such a way as to maximise our potential for development in the future. Stay tuned to the GDS Technology blog for more information on the next collaboration between GDS and Write the Docs.